These are currenlty out of stock. But we do have a lapel pink which is exactly the same without the long pin. 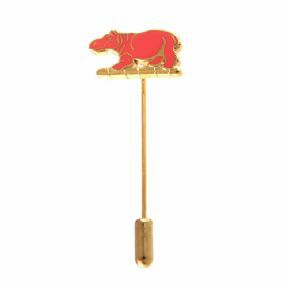 Hippo stick pin. 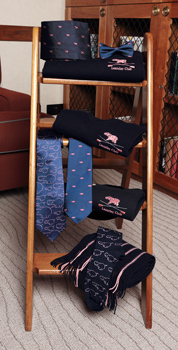 Support the club and our rowers by wearing one of our distinctive pink hippos! These are very popular over Regatta time. They are also amazingly good value and are the obvious accessory to add to your blazer at the highlight of the year. 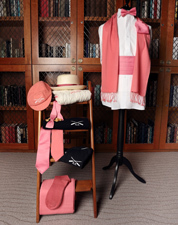 They are often bought to give as gifts to friends who have been invited to lunch over Regatta time, as they make a fun souvenir of the club and the occasion. 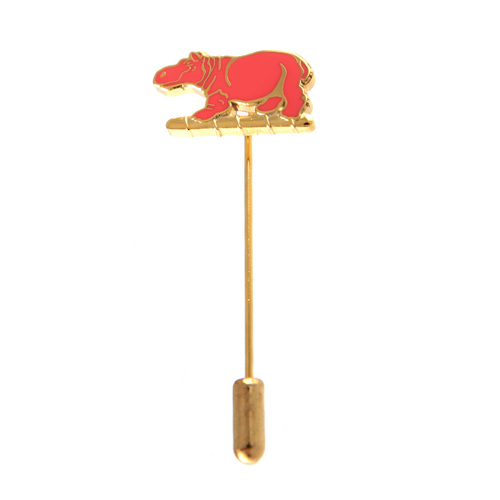 They can be matched up with the same design of cufflinks or stick pin to wear with a tie. They can be offered in a gift box at a small extra cost if you wishh to make this extra special.